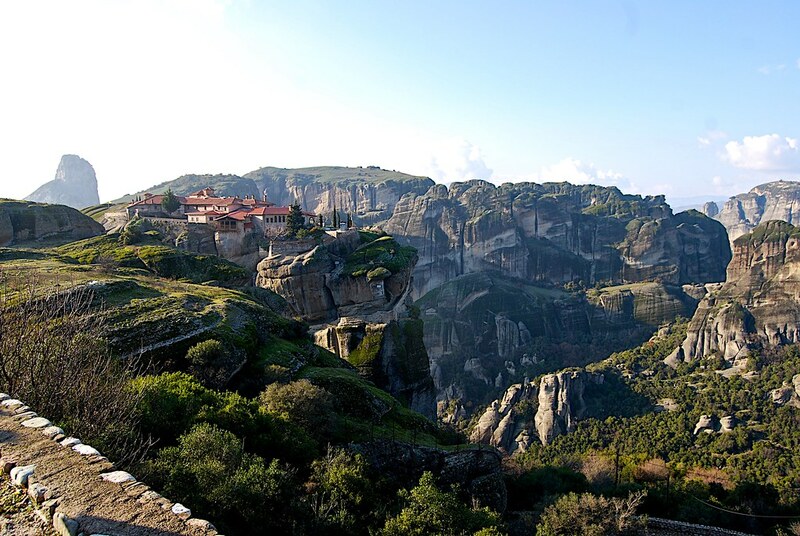 A trip to Meteora offers the unique experience of nature’s grandeur in conjunction with history and architecture. 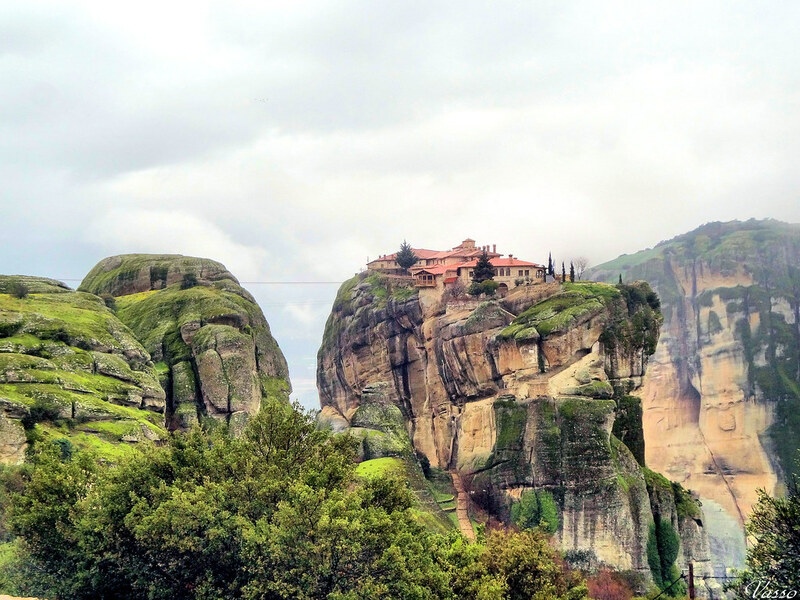 The gigantic rocks of Meteora are perched above the town of Kalabaka. 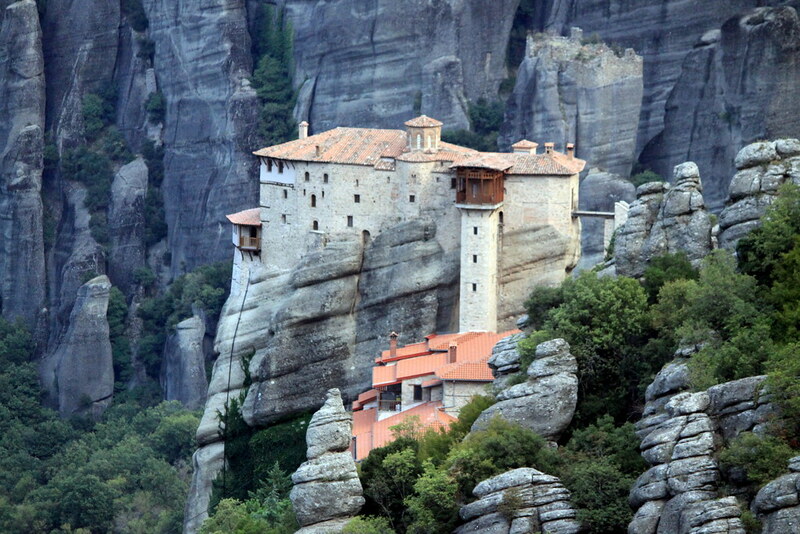 The most interesting summits are decorated with historical monasteries, included in the World Heritage List of Unesco. 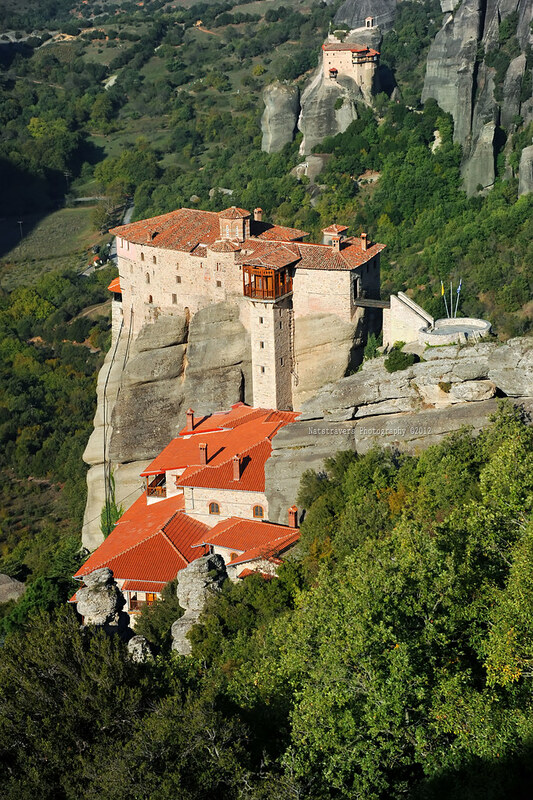 The six still existing monasteries offers an exceptional view over this rare rock formation. The Monastery of Roussanou was founded in the middle of the 16th century. 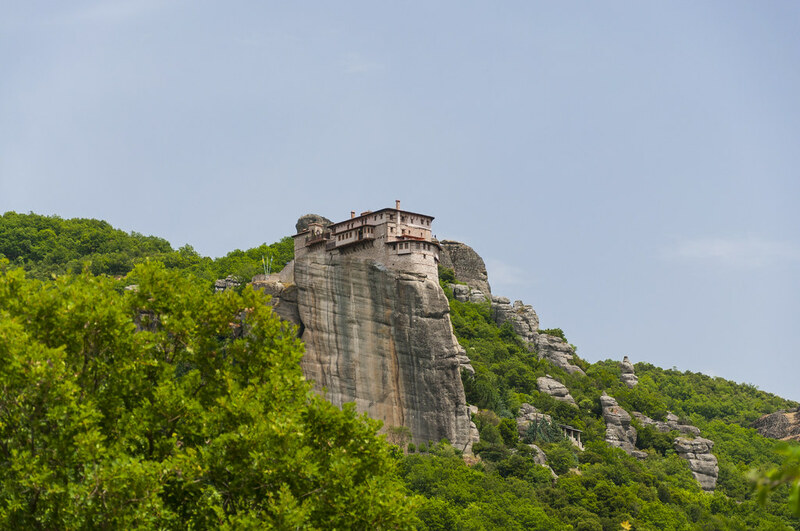 Compared to other rocks where monasteries were built, the one of Roussanou has a lower elevation, which makes it more accessible. 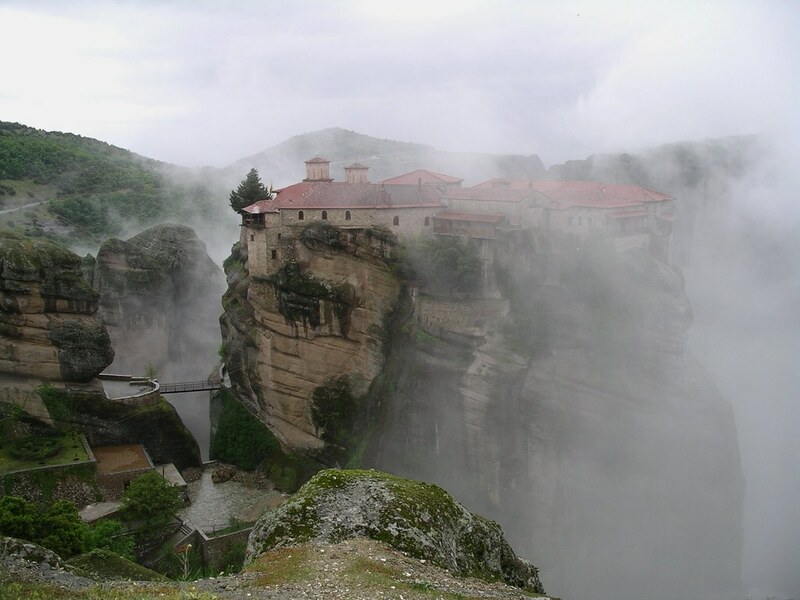 The monastery was initially founded by monks and it suffered severe damage during World War II. It became a convent in 1988. The beautiful wall-paintings of the Catholicon were executed in 1560, when the priest-monk Arsenios was the abbot of the monastery. The unknown hagiographer seems to have been a very skilful artist and successfully follows the Cretan School style.